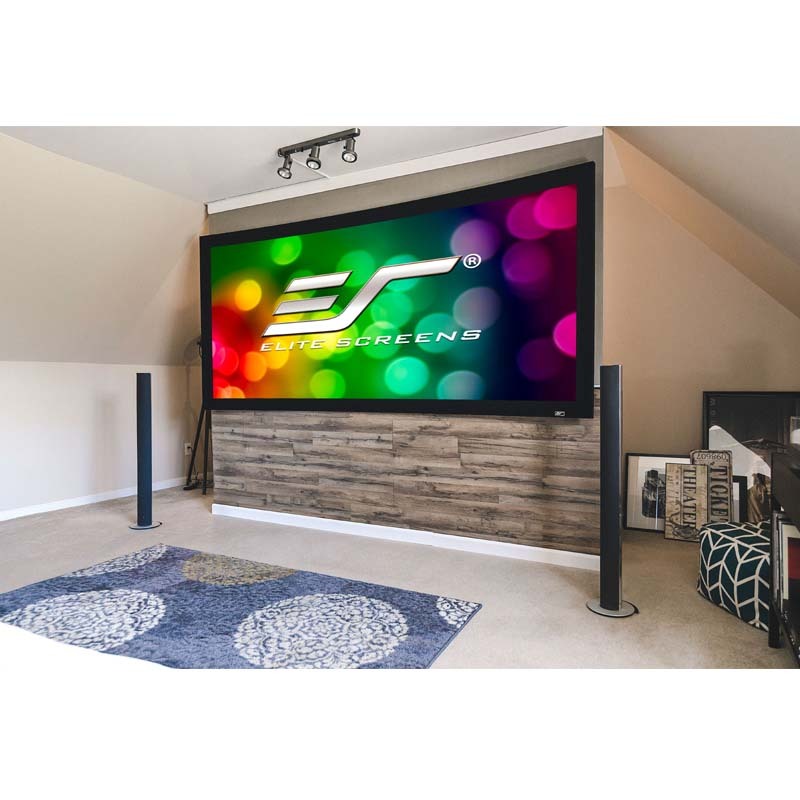 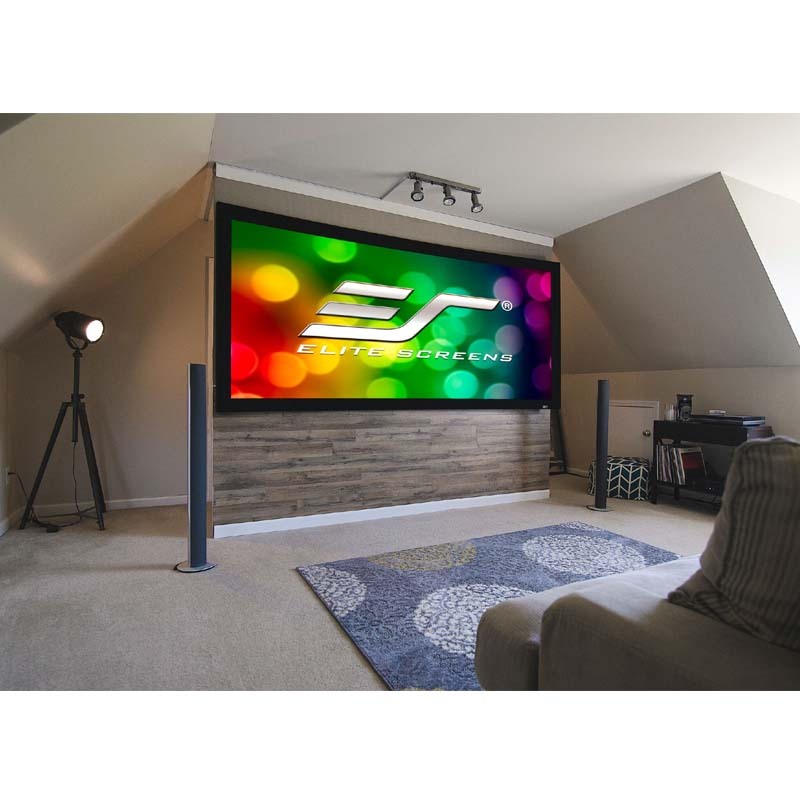 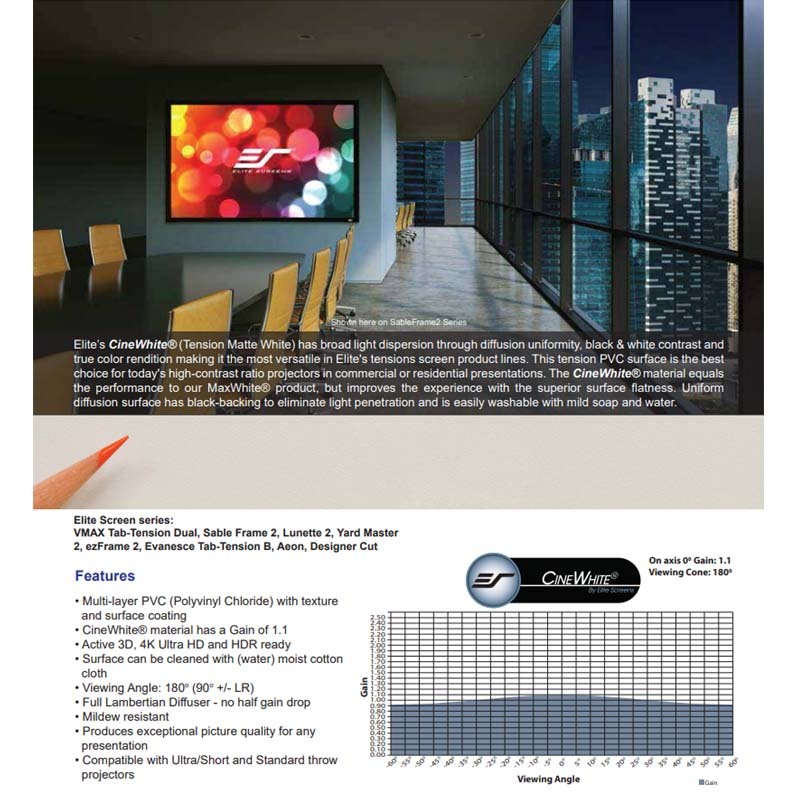 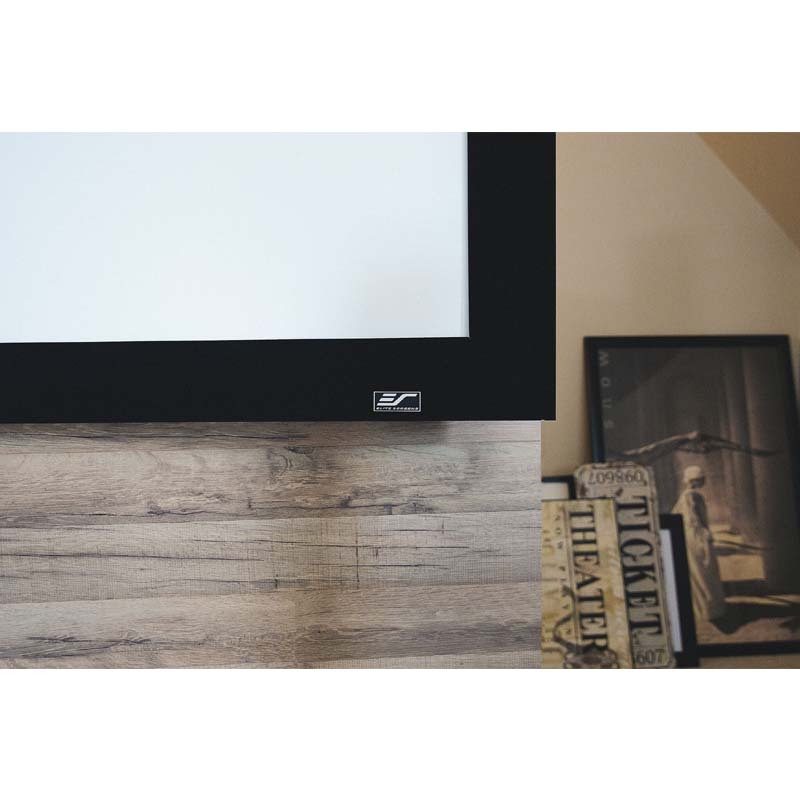 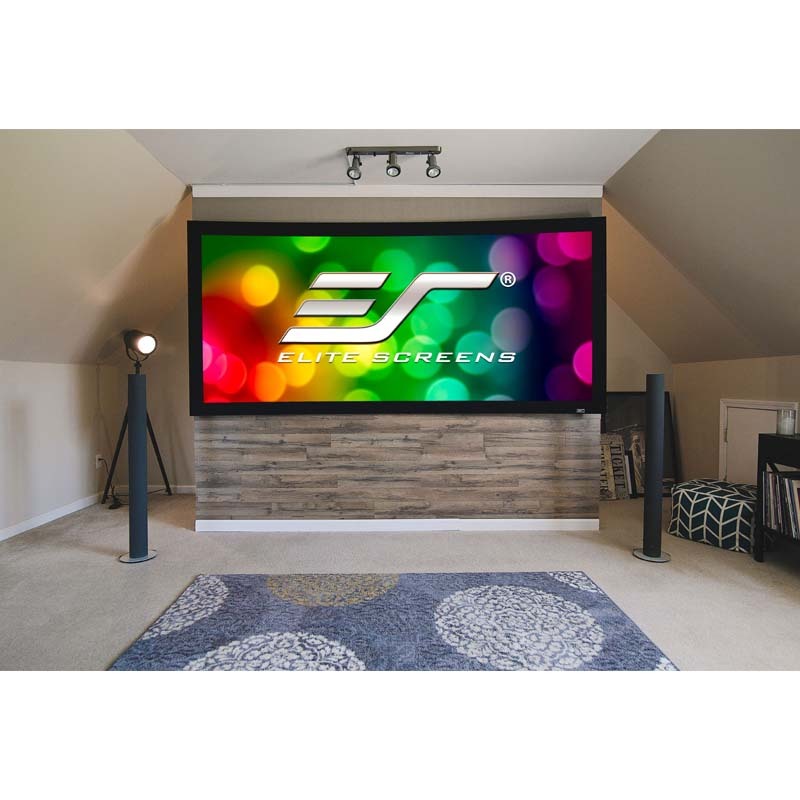 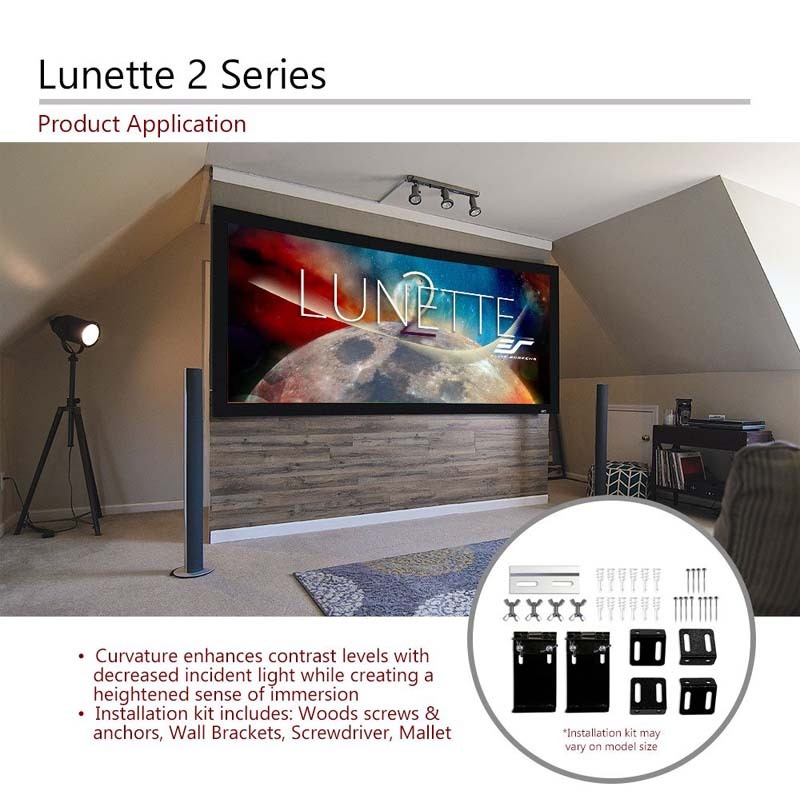 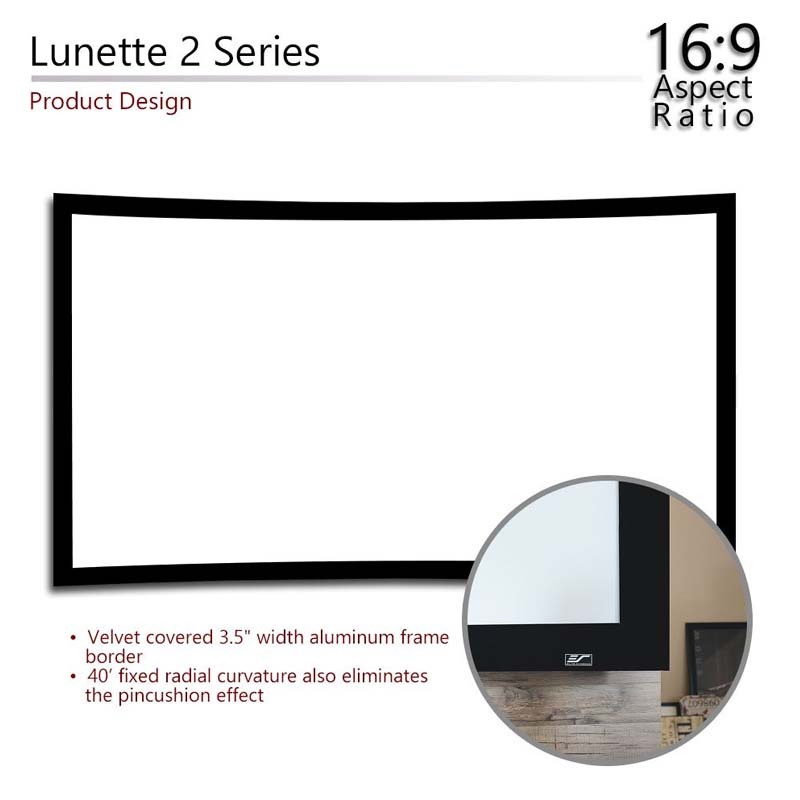 More on the Elite Screens 180 inch Lunette 2 Curved Projection Screen CURVE180WH2 below. 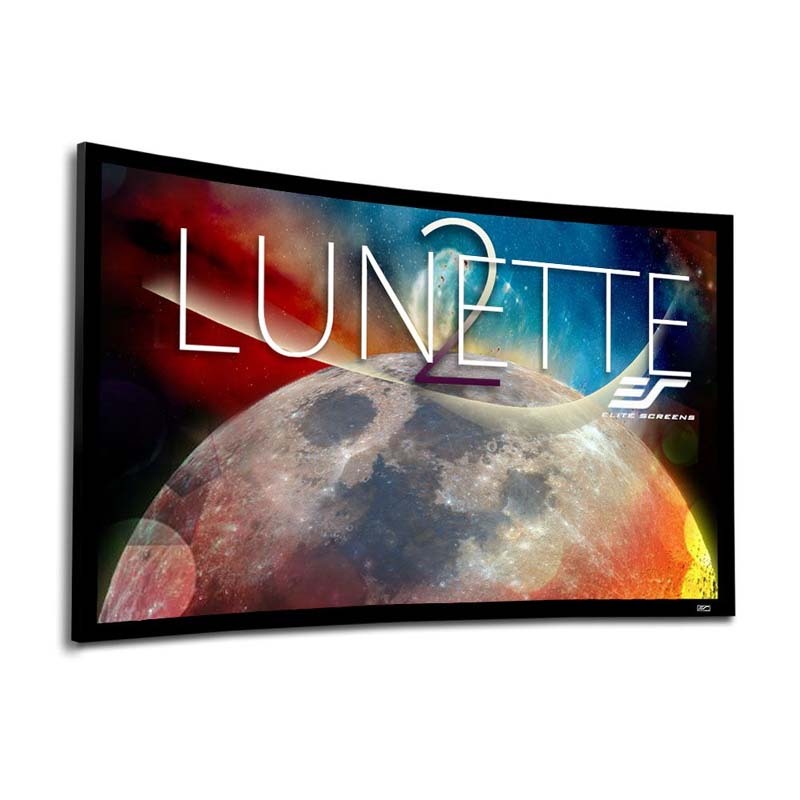 The Lunette 2 Series is Elite's curved fixed frame screen. 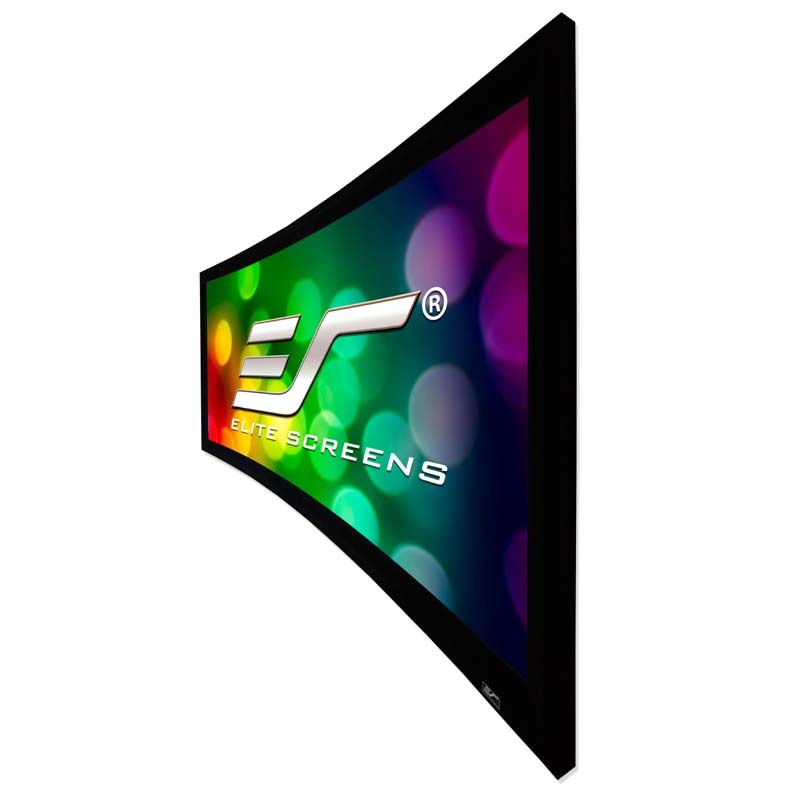 Curved screens design improves image depth and perception while increasing brightness uniformity. 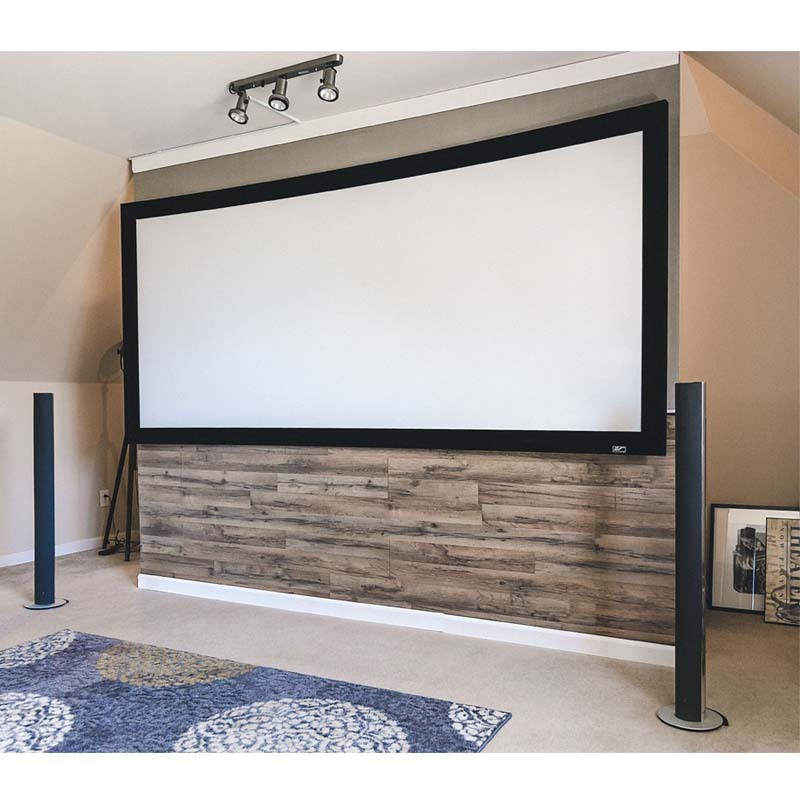 A new design feature for the CineWhite® material is a rubber-edge border that makes installation a lot easier and a lot less time consuming. 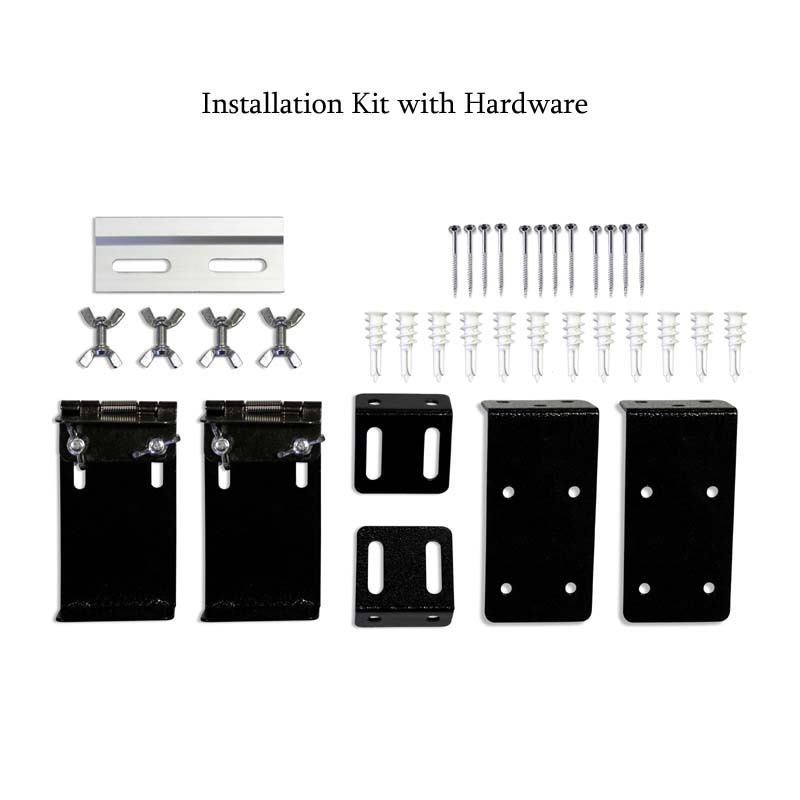 As an added bonus, a new installation kit is included free of charge. 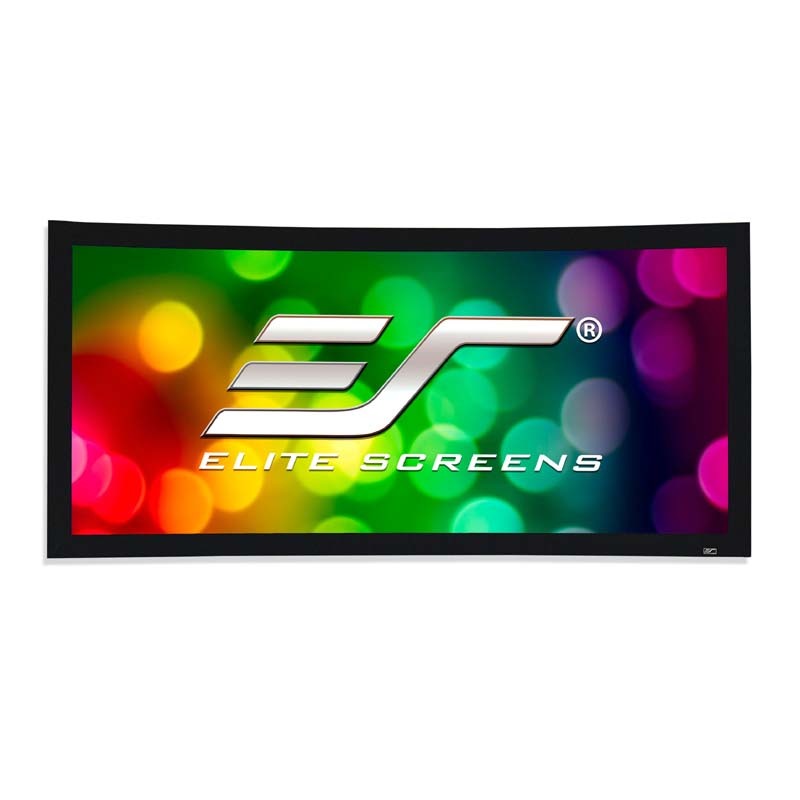 Available in the following diagonal sizes: 84 inch to 180 inch in 16:9 format and 115 inch to 166 inch in 2.35:1 format. 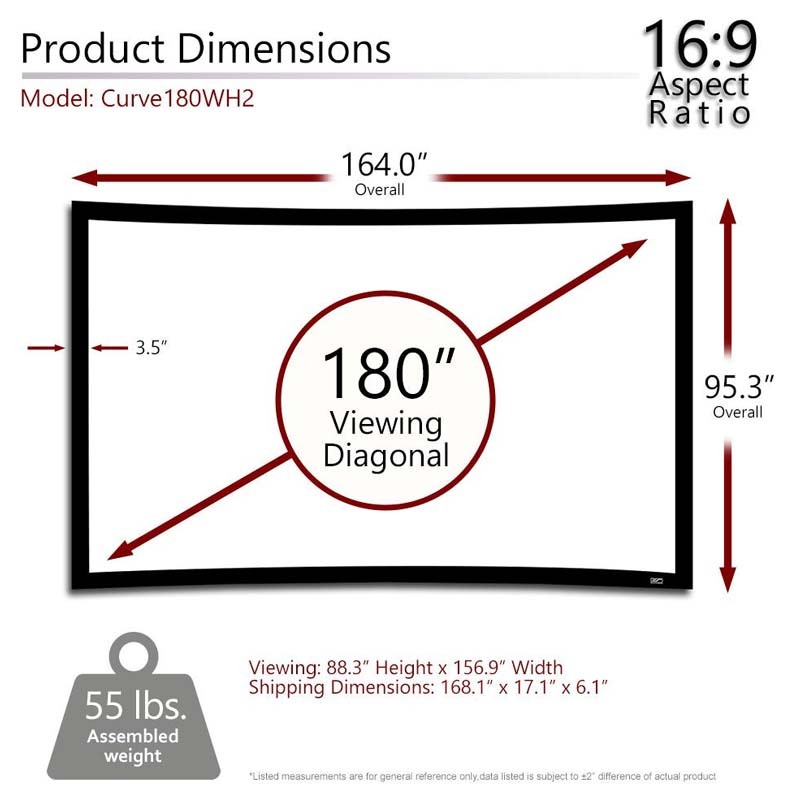 See related products below for additional sizes. 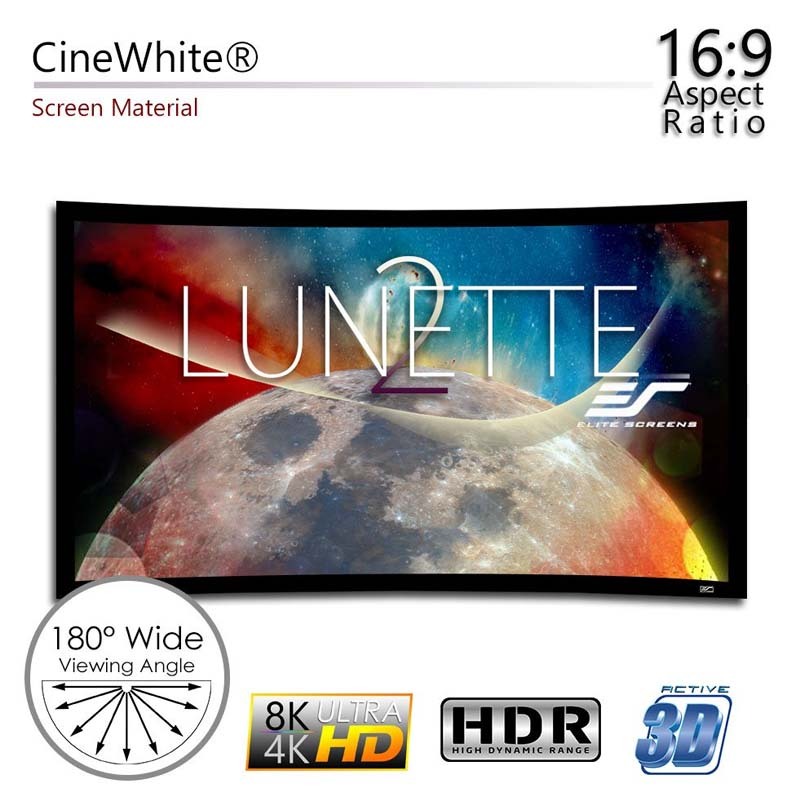 CineWhite® (Tension Matte White) has broad light dispersion through diffusion uniformity, black & white contrast and true color rendition making it the most versatile in Elite's tensions screen product lines. 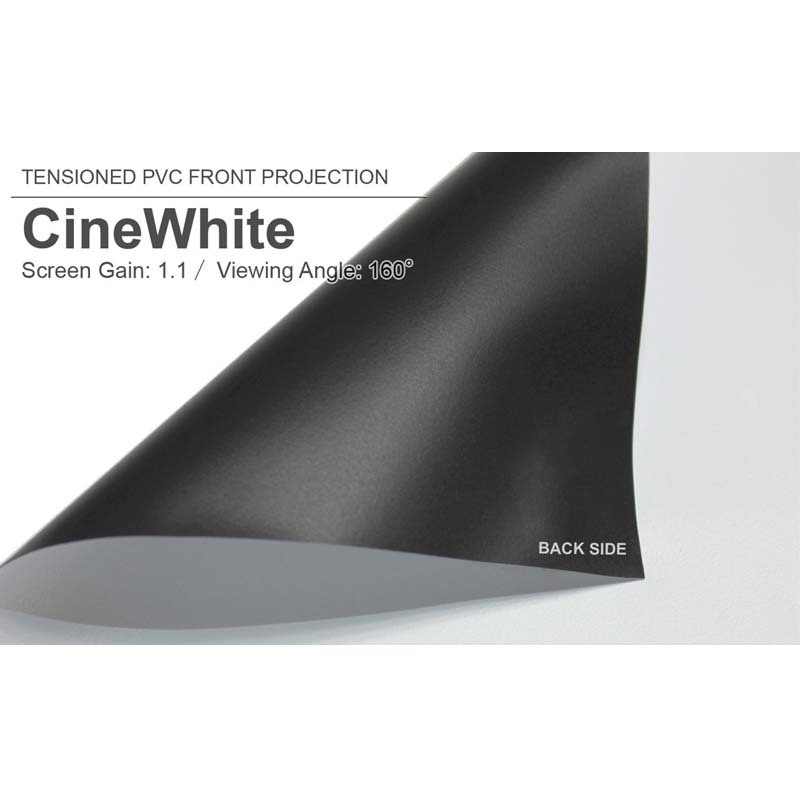 This tension PVC surface is the best choice for today's high-contrast ratio projectors in commercial or residential presentations. 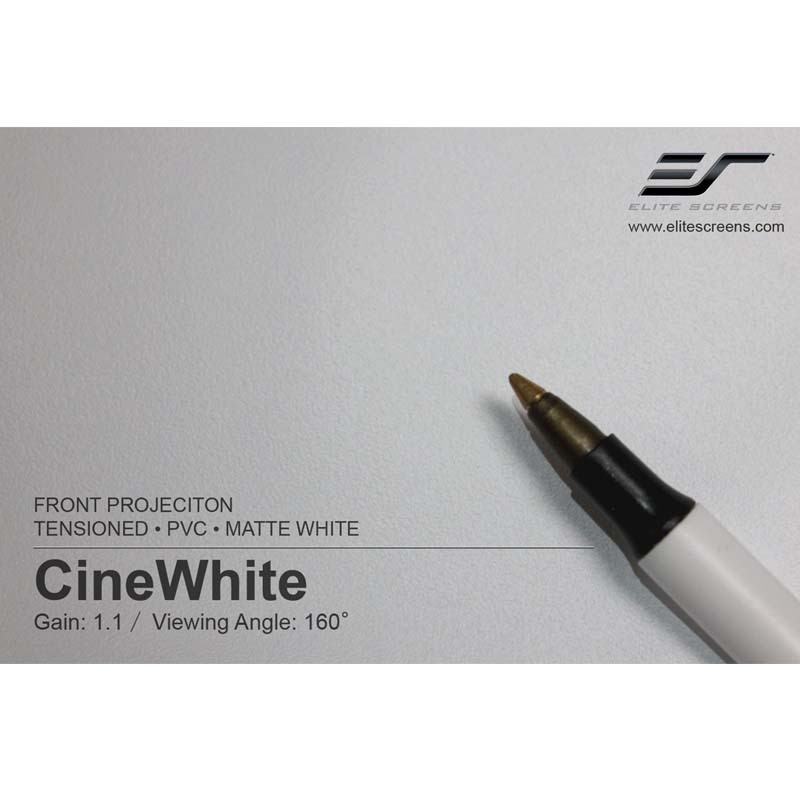 The CineWhite® material equals the performance to our MaxWhite® product, but improves the experience with the superior surface flatness. 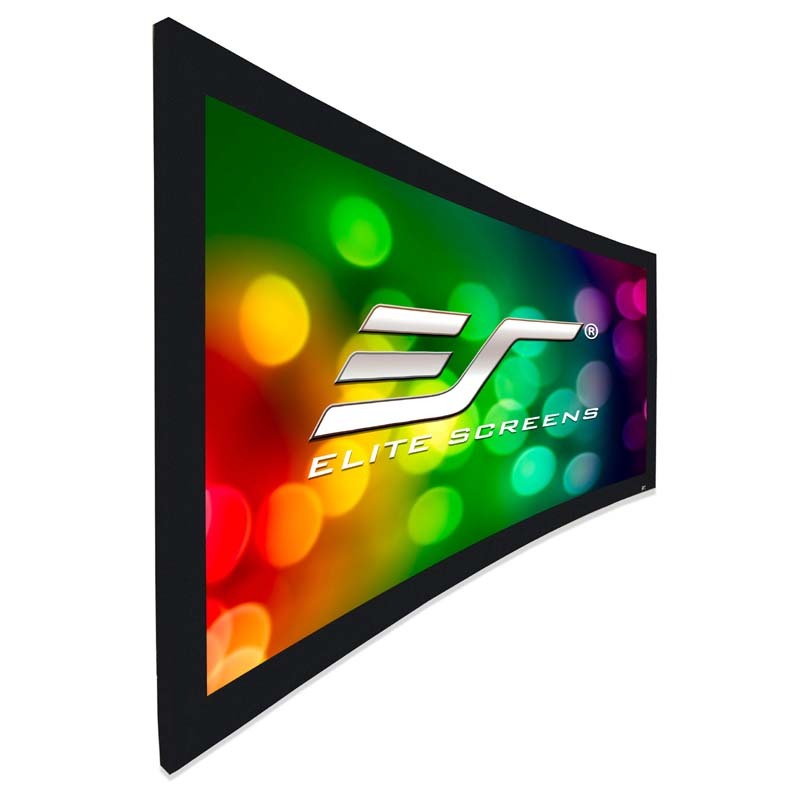 Uniform diffusion surface has black-backing to eliminate light penetration and is easily washable with mild soap and water. 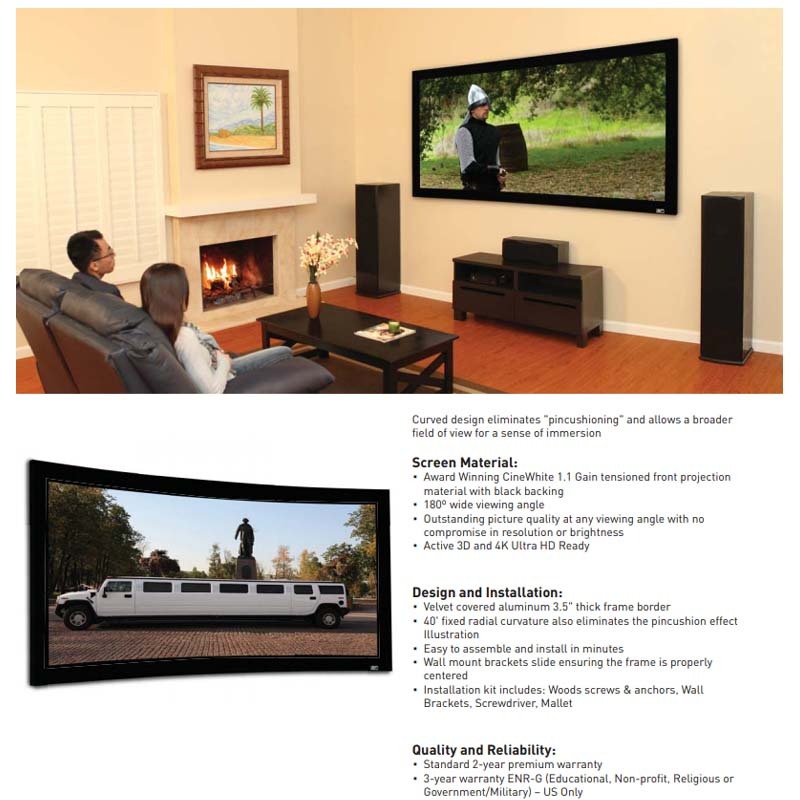 4K Ultra HD, Active 3D, and HDR Ready. 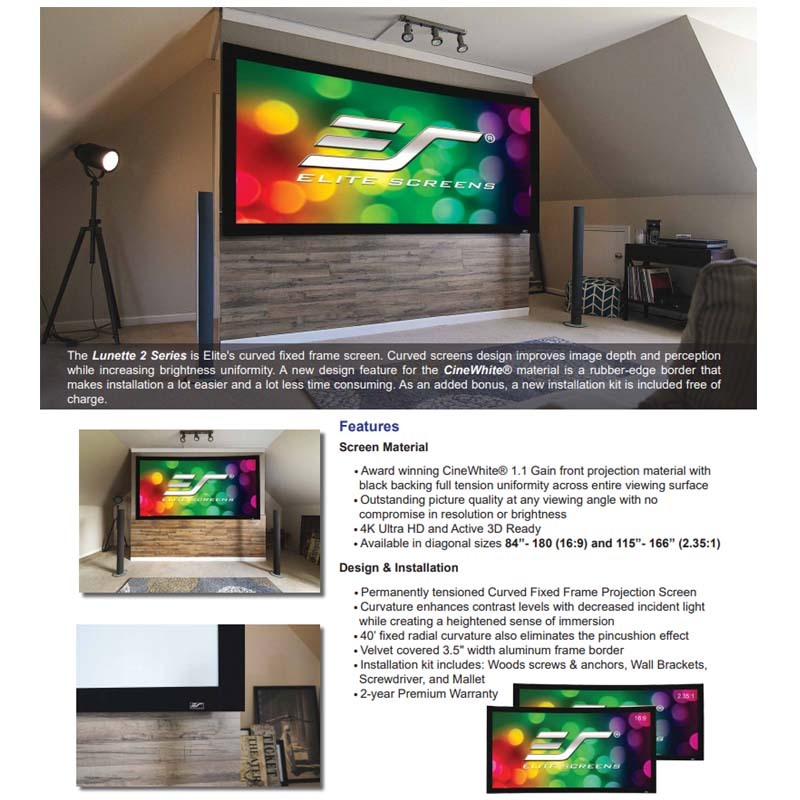 Easy to asemble and install in minutes. 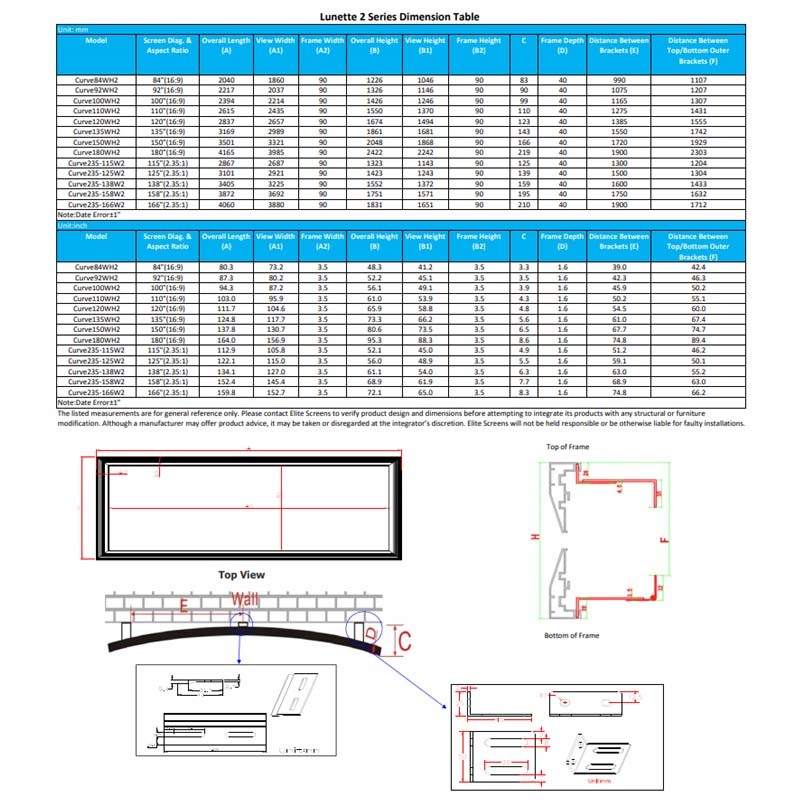 See additional images above for a detailed dimensions drawing.